Meaningful Use software and service solutions. Manage attestation and readiness for each MU stage and year. Need help with your meaningful use program? Meaningful Use is still active as 'MACRA' program is finalized. As the 'MACRA' program evolves so will ComplyAssistant but here's what you get today. 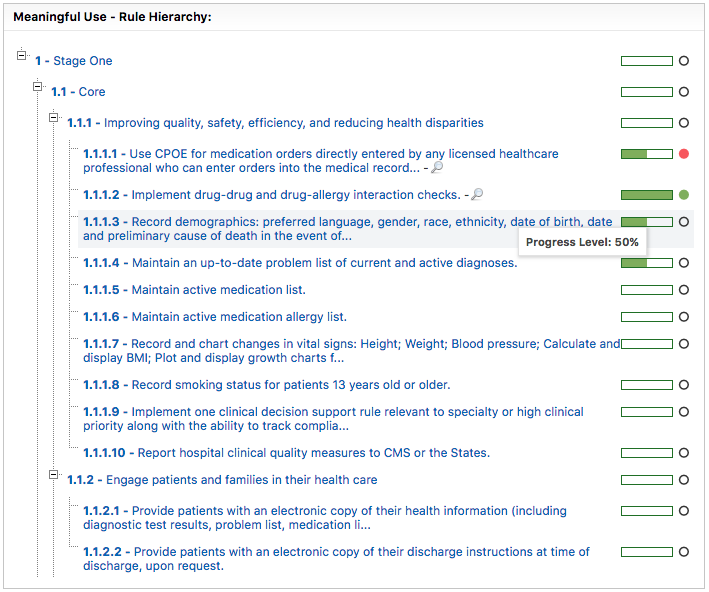 For rich regulatory content and guidance for all stages of meaningful use. For all objectives and measures. To be notified of important dates. "The combination of an enterprise software tool along with experienced resources that include IT operations, information security, and healthcare law will keep us organized and on track to meet MU stage 1 compliance in a timely manner."